Do you like to find a good bargain? Enjoy name brands? Tanger Outlets Pigeon Forge offers shoppers in the Smokies the chance to find their favorite brands at bargain-hunter approved prices. With over 100 stores and several places to eat, there's plenty of shopping at Tanger Outlet Pigeon Forge for a full day of fun looking for Christmas gifts, birthday presents, or back-to-school clothes. Shopping can be quite tiring. Luckily, Tanger Outlets Pigeon Forge provides places to grab quick snacks to full on meals. 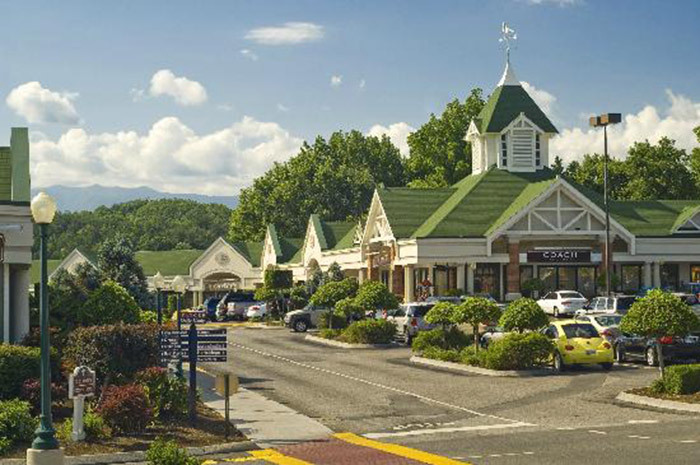 Whether you're craving something sweet from The Fudgery or Great American Cookies or want a full meal from The Chop House, Tanger Outlets Pigeon Forge offers a place for you to satiate your hunger. Looking to stay near this and other great Pigeon Forge shopping? We offer cabin rentals near Tanger Outlet Pigeon Forge that provide not only a location close to all the best shopping in Pigeon Forge but quality, luxurious interior that offer a true mountain home away from home.